In July of 2012, Melvin Morse, a 61-year-old former pediatrician, was charged with endangerment and assault after the daughter of his girlfriend ran away, accusing Morse of water boarding and other abuse. He was found guilty of the charges against him in February 2014, and sentenced to three years in prison. Now Morse, who has appeared on The Oprah Winfrey Show and Larry King Live, is appealing his conviction according to news reports at NBC News and U.S. News & World Report. At the time of the alleged water boarding incident, Morse was 58 years old. In all, Morse was convicted of felony reckless endangerment and five misdemeanors. On Wednesday, May 6 it was announced that Morse would appeal his conviction on several grounds. One issue, according to Morse’s defense attorney Joseph Hurley, was the fact that a judge in the case allowed jurors to review videotapes of statements given by the alleged victim and her younger sister during deliberations – statements that were unsworn. Hurley claims that a prosecutor in the case encouraged jurors during her closing arguments to request permission from the judge to review the tapes if jurors felt it would help them in deliberations. However, the evidence challenging statements made by the girls in the videotapes the defense had in its possession was never made available to jurors. Hurley also argued to the three-justice panel at the Delaware Supreme Court that the judge in the case erred when he allowed jurors to consider evidence of additional “bad acts” for which his client was not charged. Ultimately, Hurley felt that jurors were inflamed and Morse unfairly prejudiced because of the cumulative evidence. Morse denies using water boarding to experiment on the girl; his medical license was suspended following his arrest. It was previously held by the Supreme Court that recordings such as the unsworn statements made by the alleged victim and her sister should not be provided to jurors unless attorneys agree to provide jurors with the recording prior to closing trial arguments, or jurors request the videotapes on their own. In this case, it appears the prosecutor persuaded jurors to view the tapes during closing arguments. While the criminal justice system is designed to be fair and defendants have constitutional rights, it is an unfortunate fact that the system sometimes fails, and that judges, police, prosecutors, and even jurors can make mistakes that may cost an individual his or her freedom. When someone is convicted of a crime he/she did not commit, or somehow the system fails, there is another option – appealing the conviction to a higher court. 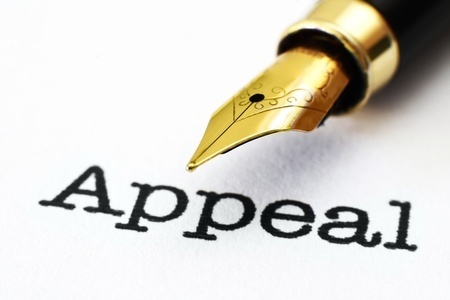 In essence, appealing gives an individual and his/her defense counsel a second chance to present the case. Although a panel of judges who sit on an appeals court rarely overturn a conviction, it does happen on occasion.